Radio Frequency measurements are often challenging, complex and it requires higher precision in most of the applications. Since there are many components and factors involved in RF measurements, careful evaluation of each stages are necessary to carry out proper RF tests. 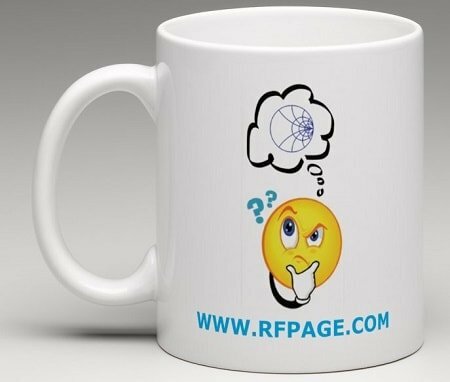 What are the factors affecting accuracy of RF measurements? One of the most significant factors in every RF measurements is the test equipment used for specific applications. Proper RF equipment ensures accuracy of each test according to the device specification. Since RF technology advancing each year, RF test equipment has to be upgraded to perform complex tasks. Test instrument specification from manufacturer will give an overview of its capabilities and limitations. High end test equipments are usually recommended for better results and repeatability. Calibration: periodic calibration of test equipments performed by certified labs or manufacturer ensures stability and accuracy of test instruments. Calibration of equipment before measurement is necessary for sensitive devices with tighter specifications. Instrument warm-up: all electronic test equipments must be switched on for minimum 30 minutes before use for stability of test parameters. Ambient temperature: Most of the RF test equipment has operating temperature range recommended by manufacturers for optimum performance. Test labs will have to maintain the temperature within a specified range. RF test cables are also an important component of radio frequency measurement. Test cables are used to make connection between DUT (device under test) and measuring equipment. RF cables are available in many specifications, size and shape to fit various applications. Selections of proper RF test cables are significant to ensure measurement accuracy and repeatability. RF accessories are designed to perform within specific range of parameters like frequency, power handling, connector types and physical dimensions. Regular verification of parameters according to specification of each accessories and visual inspection for damages are recommended for test accuracy. Sensitive RF accessories must be kept apart from other devices which could contribute coupling effect or magnetic flex difference. For example, sore RF Isolators has magnetic core inside. Other ferromagnetic materials within its close proximity could change the performance during operation. RF accessories used in high power applications produces heat. Proper air circulation is necessary to protect those accessories from damage (thermal damage). Low power signals are extremely vulnerable to noise from various external sources. Device under test (DUT) often required to place inside a shielding box or chamber to avoid external interferences. Major source of external RF noise are transmitting devices like mobile base stations, Wi-Fi routers, mobile devices and other high power TV and radio transmitting stations. At outdoor RF test locations, engineers will have to analyze external noise level and its impact on their test system (like intermodulation). Poor connection between instruments, devices, accessories and cables in the test system contribute instability and measurement accuracy. In order to make sure stable connection, cables and signal joints must be tightened with recommended torque. All active electronic devices and passive components may degrade its performance over time. Regular visual inspection of accessories and functional test will ensure individual units are within its specification. One faulty unit of a complex test setup could affect the performance of the whole system and troubleshooting is time-consuming. 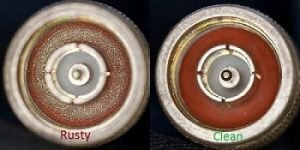 Connectors of all devices and accessories must be clean to avoid any intermodulation distortion. At higher frequency, dirt and oxidized connector pins cause distortion and unexpected results. In order to make sure the RF test setup is stable and measurements are repeatable, test engineers often use golden samples (reference DUT) to compare previously measured results. If the test setup is stable, golden sample will give exact same results as previously tested. RF measurement is a challenging task due to its complexity and numerous factors involved in its outcome. Engineers have to ensure every step from selection of test equipments to each evaluation stages. Complex test systems are designed with the help of automation tools for continuous monitoring and real-time reporting.